Steven Hori, a Swiss Internet and network specialist, is launching Youzzers, the first social network which is 100% secure and totally protects its members’ personal data. Thus when an account is deleted, the totality of all personal data is deleted. Youzzers is also available on iPhone, Androïd and notebooks. A network that provides a large range of features and services. Youzzers is both a professional social network and an interactive one. It provides a wide range of features and services. All of these are regrouped on a single platform and are managed at will by the user. It offers a higher level of confidentiality in comparison to other competitors. Ergonomic, simplified and secure, Youzzers does not require any particular skills to be used. Youzzers offers a network to schools and universities which allows them to make their courses available online. The network users can take these courses starting from the modest sum of 1 to 2 €. Directly incorporated into Youzzers, this function offers the storage of personal data which is protected by a security encryption ranging from 128 to 256 bits so that it is only accessible to the user himself. Youzzers allows one to create an e-mail address my-email@youzzers.com to send/receive e-mails to/from members and non-members. It allows a POP connection on additional mailboxes, the sending/receiving of mail by SMTP, all of which is protected by antispam and anti-virus. Youzzers accepts all formats (Photos, Audio, Video, Documents) on a simplified interface for better management of albums. They can be configured to be visible or secured and are available on mobile phones and notebooks. Youzzers also includes an instant messaging service with incorporated whiteboard. This system allows “multiusers” to work together with bridges to MSN, AIM, Yahoo, ICQ, software. Presently, Youzzers is available in French, English, German, Italian, Portuguese and Spanish. Turkish, Dutch and Arabic will be available by May 15th along with other features. Youzzers also provides news, e-commerce, creation and consultation of ads, forums and surveys. The site is open: www.youzzers.com. How are up-and-coming bands marketing themselves more effectively than signed artists–and putting the final nail in the record company coffin in the process? The answer: new online web design platforms like Wix.com that let non-tech savvy musicians create dynamic flash website and MySpace pages (for free) that not only rival, but exceed the quality of professionally made websites. As I’m sure you know, record companies have been taking it on the chin the past few years with music sales drying up. But their saving grace has been their powerful marketing arms, which for top artists has always been the best way to achieve market penetration. No longer. Web 2.0 has leveled the playing field. Musicians can send e-flyers with embedded music about upcoming gigs, create customizable widgets for their MySpace page, and create band Flash websites that match the artistic value of their music. The result: young and up-and-coming bands are now marketing themselves more effectively than big name artists. That’s why in just a few months nearly 200,000 musicians have already signed up with Wix.com web design platform. www.wix.com is a free, DIY and easy-to use Web design platform. Wix is the only web publishing platform that allows users to create stunning and completely original Flash websites. Founded in September 2006 and launched in open beta in April 2008, Wix was born out of the founders’ frustration with creating dynamic looking Websites that didn’t involve coding or programming. Wix has received $8.5 million funding from Bessemer Venture Partners and Mangrove Capital Partners. and is headquartered in New York and offices in Tel Aviv. www.wix.com. LOTO Online, a Beijing-based Internet technology company, is expanding to provide bilingual web platform services to China’s major media outlets, such as People’s Daily Online and CCTV.com. LOTO‘s proprietary and unique patented technologies help its clients achieve 3 main goals: (1) increase the amount of original content the clients are able to provide; (2) allow the clients to be the first to publish in English, content that was previously available only in Chinese; and (3) enlarge their circulation amongst foreign readers at home and abroad. Utilizing LOTO’s platform, China’s media can now be originator of its news in English and be the first to publish in English, breaking news which was previously reported only in Chinese. This boost in foreign circulation allows readers all over the world to now get first-hand news, printed in English, from the original Chinese sources. 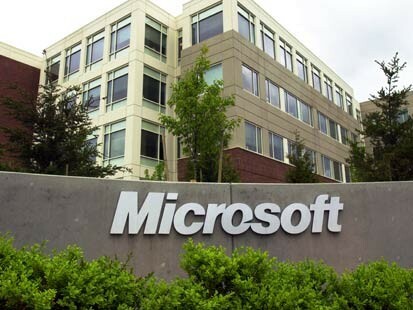 Recently, People’s Daily Online was swift to report first-hand on the incident related to Microsoft Windows Genuine Advantage, also referred to as the “Black Screen.” People’s Daily Online published a series of English articles that were cited by over 30 English media providers and English content websites. The New York Times Online published an article referencing the original piece published by People’s Daily Online, providing links to the article and also a Chinese blog covering the incident. The People’s Daily articles were also cited by Australian news blog, Bigblog, the Malaysian online media, Daylife.com, the US news website, Congoo.com and the US online news community, Topix.com. “Now, with this rapid dissemination of news, the viewpoints of China’s netizens and authorities are able to be reflected in foreign Internet circulations almost immediately,” Johnson Jiang, LOTO founder and CEO, said. LOTO increases translated content and information available to English readers all over the world. This results in greater access to original sources of information that come from different perspectives. A whole new path has emerged for Chinese ideas, opinions, and news to reach the rest of the world. Following the 2008 Beijing Olympic and Paralympic Games and the upcoming Shanghai World Expo and Guangzhou Asian Games (both in 2010), LOTO’s bilingual engine stands to be a powerful online resource for netizens all over the world. It will offer a new perspective on China’s news, culture, traditions and history. LOTO’s emergence onto the news scene has revolutionized global searching. Previously, news searches using popular engines such as Google and Yahoo would often return only a few search results originating from China’s media. The bulk of results are usually translated articles published by foreign media. LOTO bypasses this step. “The issue was that much of the searching was, and still is, done using English keywords, while news reported by China’s media, for the most part, was in Chinese. This created a huge gap between information sought after and information actually accessed. But now, with LOTO’s platform, emerges a solution to the problem of worldwide access to information,” Jiang said. LOTO’s unique technology has removed language barriers between people across the globe. The first and only one of its kind, LOTO’s bilingual engine is based on a human-machine interactive translation system, dynamic translation memory technology and vast, continuously growing databases of keywords, including one dedicated to Chinese news. For the first time ever, netizens are given the ability to search for news outside their native country using only English keywords to return dozens of relevant news reports that have been published by original media outlets such as People’s Daily Online and CCTV.com. TodoCast™, the innovator of the world’s first affordable, portable, live video webcasting system, today announced the availability of the first ever live webcast for this year’s landmark Sonoma Valley Wine Country Weekend held this Labor Day Weekend in Sonoma Valley. Sponsored by a host of organizations, including WebSat, Inc a TodoCast Partner, the fall auction and event entertainment will be accessible to anyone in the world with access to a computer and internet connection, complements of WebSat and the revolutionary technology of the TodoCast System. The live web-broadcast of the Sonoma Valley Wine Auction will be available to online viewers at no charge and enable online viewers to make donations through the TodoCast.tv platform, allowing additional contributions to be made to participating Sonoma Valley Charities. “We were thrilled at the prospect of the event’s live webcast,” said stated Peter Whyte, President of WebSat, Inc. “TodoCast truly provides a solution and an opportunity for a recurring revenue stream. The simplicity and broad applications of the TodoCast system allow us to not only widen our viewer audience, but increase profitability without incurring tremendous costs,” Whyte concluded. As a TodoCast Partner, WebSat is able to provide a complete service to event organizers and professional videographers, including on-site equipment, satellite and Internet bandwidth, as well as the technology for high quality live video, enabling people to experience the excitement of watching events as they happen. For the Sonoma Valley Wine Auction, viewers simply need a broadband connection to access the event website located at http://www.todocast.tv/sonomavalleywine. Upon signing in via a secure session, viewers can watch the event and contribute to the Sonoma Valley Charities via credit card donations. “The turnkey capabilities and ease of use, not to mention the additional viewing opportunities that TodoCast provides our partners and their clientele is outstanding,” stated TodoCast Director of Global Video Services, Brian Roland. “For the Sonoma event, live video content is encoded to Flash using the TodoCast encoder, a standard component of the TodoCast Kit. In addition, TodoCast will provide the satellite feed for the event as well as content distribution services which enable WebSat, Inc to pull off the event live via satellite for the first time,” concluded Roland. Featuring a .96 meter one touch auto-deploy satellite antenna, the TodoCast kit, which comes complete with all electronics premounted in a Gator G-Shock Rack Case, offers a high-quality live video webcast. The event will be streamed in standard definition at 600Kbps Flash, allowing the largest possible audience to view the content at home on either a MAC or PC. TodoCast services are available in Standard Definition as we as High-Definition with data rates from 400Kbps to over 4Mbps. TodoCast provides a seamless solution for event organizers to reach an entirely new audience that would otherwise be inaccessible. The quality broadcast, fast deployment and complete mobility offers TodoCast customers and partners the ability to leverage countless opportunities both in exposure and revenues. As the first portable solution for pay-per-view and live video content, the TodoCast Kit, offers a turnkey satellite webcasting system. Mounted to most vehicles, TodoCast provides videographers the freedom of mobility with guaranteed quality broadcasting bandwidth. Professional videographers can access the TodoCast CDN Streaming Media Hosting, to upload and promote live events capable of generating revenue from any location. The Sonoma Valley Wine Country Weekend features more than 200 world-class wineries and chefs, a show-stopping Taste of Sonoma, and a Wine Auction. For more information on the event, please visit http://www.sonomawinecountryweekend.com/auction/home.asp. For information on TodoCast and how its turnkey live video streaming satellite system revolutionizes videography and streaming media content for videographers and event planners everywhere, please visit http://www.TodoCast.tv. Leveraging more than 40 years of experience in the satellite industry, specializing in equipment manufacture, content distribution and the operation of satellite-based networks, WebSat offers fully equipped trucks with retractable satellite dishes enabling live event webcasting from any location. Headquartered in Sonoma, California, WebSat services Northern California with live webcasting for corporate, political and sporting events, concerts, church, civic and charity events, weddings, auctions, rallies and breaking news stories. For more information, please contact Peter Whyte 415-999-2394 pwhyte@websat.tv, or Pat Matthews 707-996-1805 pmatthews@websat.tv. TodoCast is a complete turnkey solution for live video streaming over satellite, packaged into a user friendly and revenue generating kit for professional videographers. The TodoCast Kit offers live satellite-to-web video streaming in a portable and turnkey solution, complete with electronics, antenna and portable case. In addition to the TodoCast Kit, the company provides a Content Distribution Network(CDN) and pay-per-view and advertising engine that enables TodoCast partners to promote and stream live events while generating revenue through paid viewers or advertising revenue. For more information, visit www.todocast.tv. TodoCast™, the innovator of the world’s first affordable, portable, live satellite-to-web video streaming system, today announced their partnership with Satlogic Networks, LLC (Satlogic) a provider of broadband satellite services. By leveraging the TodoCast Kit, Satlogic is able to expand their satellite service offerings to include turnkey live video streaming satellite services. The TodoCast system offers complete mobility, quality broadcast and fast deployment. The major benefit to service providers like Satlogic is the ability to lease the hardware and live video via satellite services to videographers and event planners on a daily rental basis. By offering leased options, Satlogic provides the advantage of offering videographers and event planners, the benefits of the Todocast technology, without the capital expenditure of the complete TodoCast Kit. The partnership between TodoCast and Satlogic provides videographers and event planners the ability to leverage TodoCast in a scalable and affordable method. Since its launch in March of this year, TodoCast has generated tremendous interest among videographers and is quickly catching on with satellite service providers looking for a distinctive service offering. TodoCast provides videographers, producers and event planners the ability to deploy live mobile video streaming services for their clients, offering the ability to capture, display and distribute breaking news, corporate, private, sponsored or pay-per-view events. “The TodoCast Kit offers service providers a convenient solution for satellite-to-live web streaming media services,” stated Brian Roland, TodoCast director of global video services. “With its .96 meter one touch auto-deploy satellite antenna, the kit comes complete with all electronics, encoder and phone kit, premounted in a Gator G-Shock Rack Case. The portability and ease of use of the TodoCast Kit is truly unmatched in the industry,” concluded Roland. Satlogic, a leading provider of broadband satellite services selected TodoCast to increase their solution set and product offering for their customer base which spans military, telemedicine, first responder and government agencies. “By offering the TodoCast Kit through our leased services, we are able to provide an efficient and affordable solution for live video streaming capabilities to event planners and videographers,” stated Jim McGehee, President of Satlogic Networks. “The simplicity and broad applications of the system allows Satlogic to lease the TodoCast service to videographers who prefer not to incur the capital costs associated with purchasing the entire TodoCast Kit. As a valued TodoCast Partner, we will not only widen our product offering, but be able to extend the technology that TodoCast provides to videographers and event planners in our region,” McGehee concluded. As the first portable solution for pay-per-view and live video content, the TodoCast Kit, offers a turnkey satellite webcasting system, ideal for videographers, event planners, content distribution networks and producers. For more information on TodoCast or to inquire about the TodoCast Kit, please visit http://www.TodoCast.tv. TodoCast™, headquartered in San Juan Capistrano, CA is a complete turnkey solution for live video streaming over satellite, packaged into a user friendly and revenue generating kit for professional videographers. The TodoCast Kit offers live satellite-to-web video streaming in a portable and turnkey solution, complete with electronics, antenna and portable case. In addition to the TodoCast Kit, the company provides a Content Distribution Network (CDN) and pay-per-view and advertising engine that enables TodoCast partners to promote and stream live events while generating revenue through paid viewers or advertising revenue. For more information, visit www.todocast.tv. BestTV, a market leader in online video management platforms and Internet TV Platforms, announced today that it was awarded the ‘Best Start-Up’ by two leading NY VCs and more than half of the audience members at the NY Video 2.0 Conference in May. NY Video 2.0, a new community of online video start-ups, content producers, creative firms, advertisers and investors, held an American Idol style competition where five members were judged by a panel of three prominent New York-based Venture Capitalists (VCs) and audience members. Creative Bube Tube produces brand new on-line video for J.E.T. Solutions. Tom Cruise thrilled viewers in Top Gun. Harrison Ford saved the day in Air Force One. Leonardo DiCaprio earned rave reviews in The Aviator. And Creative Bube Tube is making their mark, shooting the newest J.E.T. Solutions video. Broadcasting your brand through online video is one of the best marketing tools in todays advertising and marketing world. Producing an online video can give you extra exposure to your company. Creative Bube Tube, a commercial and video production company recently produced the video for Greg Marlo from J.E.T Solutions. Greg is in the aircraft sales, charter, and private aircraft management business. Greg is an Aviation Consultant; and covers all services in flight operations tailoring to his clients every need. Creative Bube Tube’s President a Jenny Munford has been working with Jet Solutions for months, honing the perfect script for Jet Set’s first-ever video production. The video shoot took place in the Toronto Pearson International Airport. “We are so excited that this is happening,” Munford said. “This video is going to be very cutting-edge and very fun to shoot. We’ll have our cameras set up in the hanger, and on the runway. Even in the planes! The shot list for this shoot is intense, but we’re ready for it.” Jet Solutions hired the team at Creative Bube Tube to also do some website design and create an effective marketing Campaign for J.E.T. Solutions. The Luxurious Jets of Jet Solutions and their services are online now! For your viewing pleasure you can go to www.thejetsolutions.com to find out more, and view their brand new promotional video. You can always call Jet Solutions at 416-907-9046 to find out more information and to speak to Greg one on one. Creative Bube Tube’s summer calendar continues to fill up at high speed. And with a client like Jet Solutions onboard for a substantial marketing campaign, one thing’s for sure: the team at Creative Bube Tube will continue to live life in the fast lane. Pun intended. Sony has today announced that it has entered into an agreement to acquire Gracenote for about $260M plus other contingent consideration. Gracenote provides a range of music-related solutions including MusicID, which detects which song is currently being played by an application and loads track information for the user. MusicID leverages a database of over 6M CDs and 80M tracks and the technology has been in works since 1995 known previously with the name CDDB. Gracenote’s existing business will continue to operate separately. As a wholly owned Sony subsidiary, Gracenote will continue to develop new technologies in existing as well as new areas of operation. The senior management team will remain with the company. Sony and Gracenote anticipate that the transaction will close in late May, subject to certain regulatory and other approvals. Many consumer music app services Apple iTunes, Yahoo! Music Jukebox, and Winamp use Gracenote for their music detection capabilities. Other consumer electronic brands are also associated with the company such as SonyEricsson, Philips Wireless Music Systems, Cadillac, Apple iPod, among others. Gracenote is a global leader in embedded technology, enriched content, and data services for digital entertainment solutions within the Internet, consumer electronics, mobile, and automotive markets. Formerly known as CDDB®, Gracenote delivers a substantially improved consumer experience in digital media devices and applications, plus media monitoring and other data services to the recording industry, making it an integral part of the digital media economy. Gracenote powers leading services including Apple iTunes, Yahoo! Music Jukebox, Winamp; home and automotive products from Alpine, Panasonic, Philips and Sony; and mobile music applications from Samsung, Sony Ericsson, KDDI (Japan), KTF (Korea), Musiwave (Europe), and others. Gracenote is headquartered in Emeryville, California. Steve Scherf and business partner Ti Kan created the CDDB compact disc recognition service as a hobby in 1995 in order to get personal computers to display information about the CDs they were playing. To their surprise, the service became overwhelmingly popular, prompting them to found CDDB LLC in 1998. 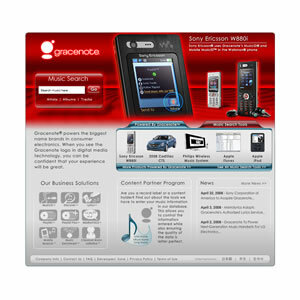 Later that year the company was acquired by Escient LLC, and the name was changed to Gracenote. After the acquisition, Scherf took on the role of Chief Architect for all Gracenote services. Scherf has since been the driving force behind nearly every fundamental Gracenote technology, cementing his position as one of the main pioneers of media recognition. Scherf personally designed and built the lion’s share of the current incarnation of the Gracenote service, a modular system that is extremely flexible, scalable and massively redundant, and is capable of easily incorporating new services as the need arises. He architected, designed, and developed the technology behind other Gracenote online products, such as Link, Discover, Music Enrichment, the MusicID® search engine, and others. In addition, Scherf has assimilated a number of third-party recognition technologies into the Gracenote suite, such as Mobile MusicID, re-implementing and improving them from the ground up. His pioneering work in media recognition also forms the basis of Gracenote’s embedded offerings. Prior to co-founding Gracenote, Scherf worked as Unix kernel developer for such companies as Altos Computer Systems, Acer America and Stratus Computer, delving into file systems, I/O performance, SCSI subsystems, networking and fault tolerance. Scherf graduated from the University of California, Santa Cruz in 1988 with a B.A. in Math and Biology. Ty Roberts is widely recognized as one of the inventors of enhanced CD technology and is accredited with producing the industry’s first enhanced CDs. He joined Gracenote in November of 1998 after the company acquired ION, a multimedia and music technology company that he founded in 1993. Roberts serves as Gracenote’s chief technology strategist, providing technology direction and overseeing the creation of products and services that leverage the power of the Gracenote database to deliver information services. While at ION, Roberts produced the recording industry’s first enhanced audio CD titles, including David Bowie’s “Jump” and “Headcandy” from Brian Eno. He was the company’s lead technologist and innovator in adding multimedia content to traditional audio CDs. ION was also widely recognized as a leading provider of enhanced CD production tools utilized by recording and multimedia development companies. In September 1993, Bertelsmann Music Group created the first interactive record label after acquiring a 50 percent interest in ION. Prior to founding ION, Roberts was a founder and senior manager of LightSource, a software development company that produced multimedia and graphics editing software. Previously, he was a senior engineer at Pixar, where he created several award winning, Apple-based music applications including “Studio Session” and “Jam Session.” Roberts is Gracenote’s representative to the Secure Digital Music Initiative (SDMI), organization that is chartered with establishing standards for di gital music and music playing devices. A pioneer in the online world, Ms. Greenberg is an inventor on seven U.S. patents, related to the delivery of content synchronized to audio recordings. She joined Gracenote in November of 1998 after the company acquired ION, a multimedia and music technology company that she founded in 1993. Greenberg served as Sr. Vice President of Marketing, Business and Strategic Development during her tenure at Gracenote until October 2001. No longer affiliated with Gracenote, Ms. Greenberg currently works as an independent consultant in the Bay Area. While at ION, Ms. Greenberg produced the recording industry’s first enhanced audio CD titles, including David Bowie’s “Jump” and “Headcandy” from Brian Eno. Greenberg designed the Jump’s groundbreaking interactive video, and produced the world’s first musician-hosted chat with David Bowie in 1994 – a format that has become standard practice in launching albums. Greenberg transitioned ION’s enhanced CD technology and business models into implementations that use the Web and are being utilized at Gracenote today. Prior to founding ION, Greenberg was the head of marketing for the Academy Award winning Edward R. Pressman Film Corporation, whose over 60 films include: Wall Street, True Stories, Talk Radio, Reversal of Fortune, Hoffa, Bad Lieutenant, The Crow and Judge Dredd. Ms. Greenberg studied Architecture and Cinema and earned a degree in Creative Arts & Cinema from California State University at San Francisco. Scott Jones carefully sculpted the Gracenote company into existence by acquiring pivotal enabling technologies from CDDB, ION, Escient, Quintessential Player, and Cantametrix. He served as the company’s Chairman/CEO from 1998 to 2001 and is now Chairman of the Board. Jones raised significant capital, recruited a talented management team, contributed technology and intellectual property, and strategically guided Gracenote to pursue market segments that are the foundation of the Company’s success. Sony Corporation of America, based in New York, NY, is a U.S. subsidiary of Sony Corporation, headquartered in Tokyo. Sony is a leading manufacturer of audio, video, communications, and information technology products for the consumer and professional markets. Its motion picture, television, computer entertainment, music and online businesses make Sony one of the most comprehensive entertainment companies in the world. Sony’s principal U.S. businesses include Sony Electronics Inc., Sony Pictures Entertainment Inc., Sony Computer Entertainment America Inc., and a 50% interest in Sony BMG Music Entertainment, one of the largest recorded music companies in the world. Sony recorded consolidated annual sales of approximately $70.3 billion for the fiscal year ended March 31, 2007, and it employs 163,000 people worldwide. Sony’s consolidated sales in the U.S. for the fiscal year ended March 31, 2007 were $18.9 billion.